Una de mis prendas favoritas del invierno son sin duda los jerseys oversized, cuantos mas largos mejor. Para completar el estilismo, jeans negros, la comodidad de las bailarinas y un maxi-bolso en tono verde, ¿también te gusta darle el protagonismo a los accesorios? Muchas gracias por vuestros comentarios y visitas, ¡feliz semana!. 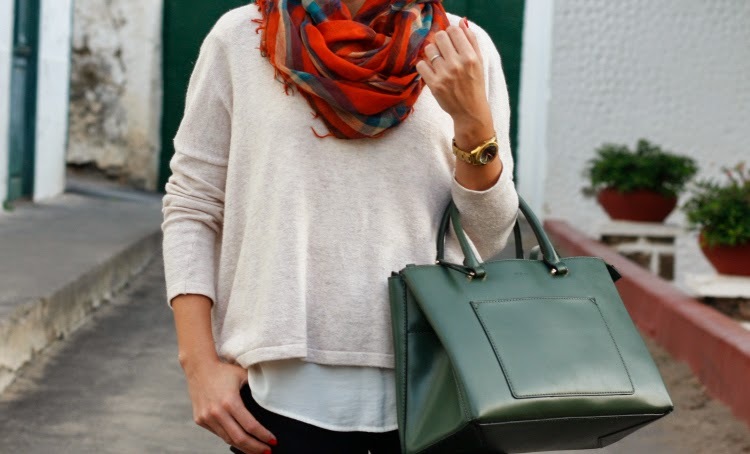 Hi girls, today I give all the attention to this beautiful scarf, I think less is more, a rule that I love. One of my favorite winter clothes are definitely oversized jerseys, few longer better. 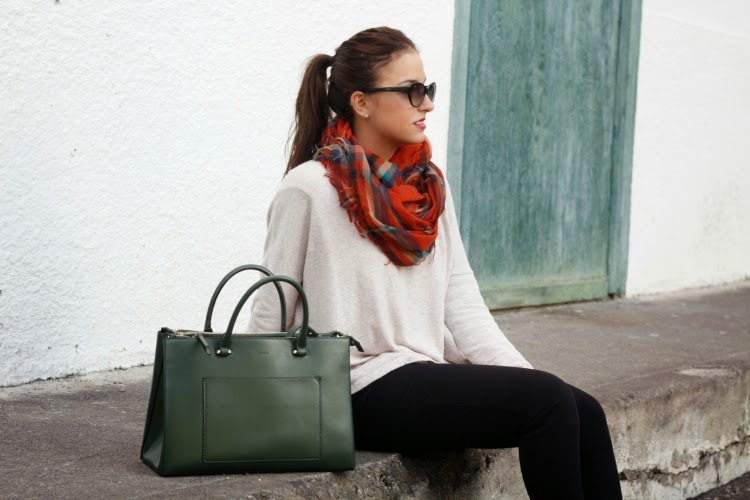 To complete the style, black jeans, the comfort of the flat shoes and a maxi-bag in green tone. Thank you very much for your comments and views, nice week !.